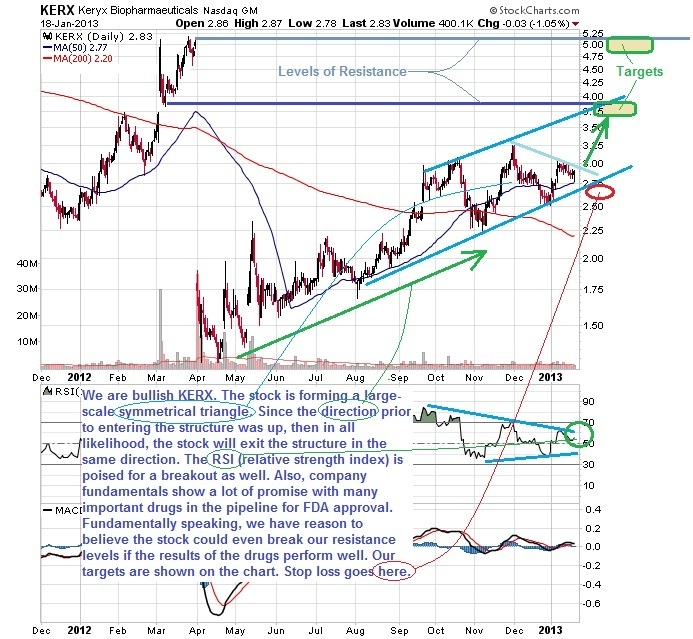 We are presenting Keryx Biopharmaceuticals, Inc. (NasdaqCM: KERX) as a potential "long buy" candidate at the price of $2.83/sh. 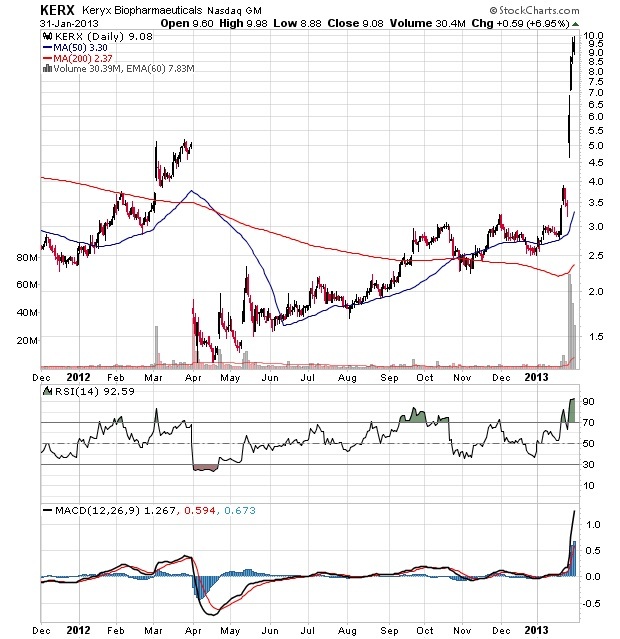 After - KERX traded to $9.98 for a return of +252.6% within two weeks! These are the types of poised stock picks we have been finding for our members. Since the inception of our service (Sept. 2002) to the end of 2012, our results have been outstanding! We have averaged +25.2%/month (highest price achieved within two months after the release of each stock pick) with an accuracy of +80.4%! For 2013, our methods continue to find many explosive technical set-ups. We welcome you to visit our track record. Copyright © 2000 - 2017 StockMarketTiming.com, LLC. All rights reserved.